During implementation of our solutions we can also activate our partner network, so that we are able to react on any request that goes beyond our solution portfolio. ServiceNow provides service management for every department in the enterprise including IT, human resources, facilities, field service and more. We use ServiceNow as our strategic platform for our services in case that the implementation of a new Service Management Software is required. Based on the ServiceNow platform, we offer our own Service Management solution for SAP environments. STA Consulting Kft. is our development partner for SAP developments. 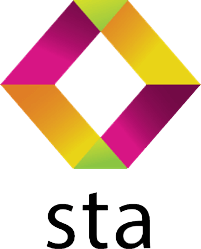 STA consulting was founded 2008 in Budapest, Hungary and has with SAP the state as SAP Application Development Partner. West Trax is an international and independent analyst with focus on objective usage analyses of SAP systems. West Trax has performed more than 1.500 SAP analyses in 15 business areas, has its own KPI scan methodology and a benchmark database. Together with West Trax we offer a 360 degree analysis of your SAP implementation including the Service Management processes and governance. Coopers Group offers outplacement and recruiting services that can be bundled with our outsourcing and relocation services. CHG is a leasing company. With CHG we offer a combination of a financial model and nearshoring or outsourcing activities as an alternative to infrastructure outsourcing.